Forget about fabulous prizes and big money. 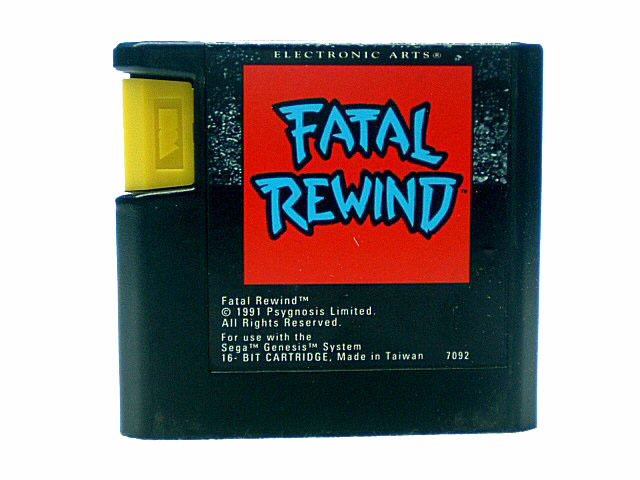 On the gameshow FATAL REWIND, you're playing for the ultimate prize your life! You're dropped into a dangerous world of Artificial Life Forms, dangerous acid pools, and tons of booby traps, but you do have a special armored suit that can be upgraded and augmented by items you'll find scattered throughout this strange world. The 12 levels of life-threatening action will challenge your running, jumping, climbing, and shooting skills. When you die, the computer does a Fatal Rewind, and replays your adventure until you decide to jump back in and change the course of the game. With three difficulty levels Hard, Harder, and Hardest you'll have your hands on the most brutal gameshow in the history of TV!